Scottish physicist and mathematician, born at Dalkeith on the 28th of April 1831. After attending the Academy at Edinburgh and spending a session at the University, he went up to Cambridge as a member of Peterhouse, and graduated as senior wrangler and first Smith's prizeman in 1852. As a fellow and lecturer of his college he remained in Cambridge for two years longer, and then left to take up the professorship of mathematics at Queen's College, Belfast. There he made the acquaintance of Thomas Andrews, whom he joined in researches on the density of ozone and the action of the electric discharge on oxygen and other gases, and by whom he was introduced to Sir W. R. Hamilton and quaternions. In 1860 he was chosen to succeed his old master, J. D. Forbes, as professor of natural philosophy at Edinburgh, and this chair he occupied until within a few months of his death, which occurred on the 4th of July 1901, at Edinburgh. The first scientific paper that appears under Tait's name only was published in 1860. His earliest work dealt mainly with mathematical subjects, and especially with quaternions, of which he may be regarded as the leading exponent after their originator, Hamilton. He was the author of two textbooks on them -- one an Elementary Treatise on Quaternions (1867), written with the advice of Hamilton, though not published until after his death, and the other an Introduction to Quaternions (1873), in which he was aided by Professor Philip Kelland (1808-1879), who had been one of his teachers at Edinburgh. 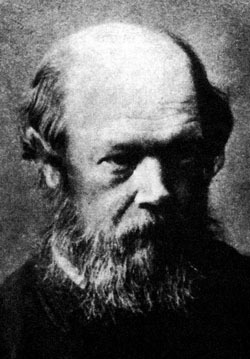 In addition, quaternions was one of the themes of his address as president of the mathematical section of the British Association in 1871. But he also produced original work in mathematical and experimental physics. In 1864 he published a short paper on thermodynamics, and from that time his contributions to that and kindred departments of science became frequent and important. In 1871 he emphasized the significance and promise of the principle of the dissipation of energy. In 1873 he took thermoelectricity for the subject of his discourse as Rede lecturer at Cambridge, and in the same year he presented the first sketch of his well-known thermoelectric diagram before the Royal Society of Edinburgh. Two years later researches on "Charcoal Vacua" with James Dewar led him to see the true dynamical explanation of the Crookes radiometer in the largeness of the free path of the molecule of the highly rarefied air. From 1879 to 1888 he was engaged on difficult experimental investigations, which began with an inquiry into the corrections required, owing to the great pressures to which the instruments had been subjected, in the readings of the thermometers employed by the "Challenger" expedition for observing deep-sea temperatures, and which were extended to include the compressibility of water, glass and mercury. Between 1886 and 1892 he published a series of papers on the foundations of the kinetic theory of gases, the fourth of which contained what was, according to Lord Kelvin, the first proof ever given of the Waterston-Maxwell theorem of the average equal partition of energy in a mixture of two different gases; and about the same time he carried out investigations into impact and its duration. Many other inquiries conducted by him might be mentioned, and some idea may be gained of his scientific activity from the fact that a selection only from his papers, published by the Cambridge University Press, fills three large volumes. This mass of work was done in the time he could spare from his professorial teaching in the university. In addition, he was the author of a number of books and articles. Of the former, the first, published in 1896, was on the dynamics of a particle; and afterwards there followed a number of concise treatises on thermodynamics, heat, light, properties of matter and dynamics, together with an admirably lucid volume of popular lectures on Recent Advances in Physical Science. With Lord Kelvin he collaborated in writing the well-known Treatise on Natural Philosophy. "Thomson and Tait", as it is familiarly called ("T and T prime" was the authors' own formula), was planned soon after Lord Kelvin became acquainted with Tait, on the latter's appointment to his professorship in Edinburgh, and it was intended to be an all-comprehensive treatise on physical science, the foundations being laid in kinematics and dynamics, and the structure completed with the properties of matter, heat, light, electricity and magnetism. But the literary partnership ceased in about eighteen years, when only the first portion of the plan had been completed, because each of the members felt he could work to better advantage separately than jointly. The friendship, however, endured for the twenty-three years which yet remained of Tait's life.